More than 44 years studying the Hung style that I learned from Chan Hon Chung, I still consider the traditional methods of teaching and training as the only way to preserve the conceptual nature of the style and to understand its fundamental principles. Please note: the following considerations refer to my personal experience as a long time Hung Kuen practitioner in the Hon Chung Gymnasium, but in my opinion they might apply to most classic Chinese martial art. Once upon a time in Hong Kong, in the Twentieth Century, there was the “kungfu Sifu”. 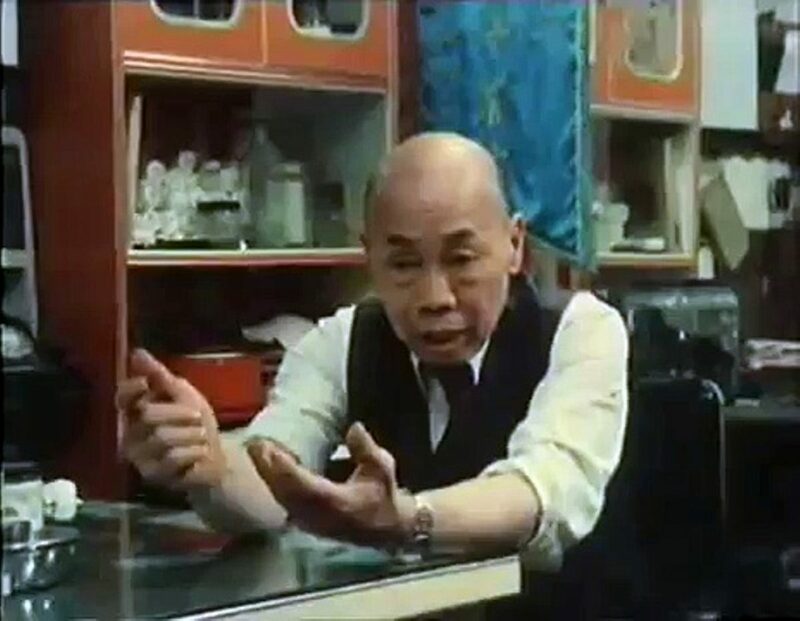 Generally a well known and respected traditional doctor or bonesetter, he run a school of Chinese martial arts in his back shop, the “tong”. The teaching was informal, almost naive: no classes, no rankings, no coloured belts, no instructors, no admittance ceremonies, no bureaucracy, no organised lessons or courses. The fees were low or null for the poorest. The Sifu was the caretaker of the style and the students (“brothers”) were part of a family, where the most skilled helped the beginners in an always positive atmosphere. When he felt that his time to retire had come, the Sifu chose the student deemed most suitable to be his successor, as happened to him in the past. Sifu showed up occasionally in the training space, usually a few minutes here and there between receiving his patiences, so the learning was mostly based on reciprocal imitation and mutual help. But in spite of this non-organized environment and random teaching, the style remained faithful to the ancient roots thanks to its conceptual nature, based on a minimalistic, yet efficient, set of principles, gestures and transitions. The forms were learned in a relatively short time, followed by a longer period for understanding, fine tuning, to be subsequently brought into the reality of the sparring, harmonically adapting the conceptual techniques to one’s physical structure and sensibility. This method induced a positive effort of creativity that resulted in a great variety of applications, that were trained, compared and exchanged between the brothers. The more the students improved their skills, the more they introduced their personal interpretations, based on their structure, attitude and sensibility, but always pivoting around the basic concepts. It was a natural process that did not harm the purity of the system, that could be safely handed down uncontaminated through generations thanks to the safety of its conceptual nature. And moreover, this approach was martial indeed, because people could productively use it in sparring and combat. It worked in the real world, because the concept were realistic, therefore adaptable to the variables of a real combat. An example: a double tiger fist (but the same idea also apply to a crane, a snake, a leopard fist, etcetera) should be seen and taught not as a sequence of codified movements (block this, then grab that, pull, strike, etcetera), but as the idea of a combined action of defence and attack, performed with two hands moving in sync or with a short gap, aimed to block or deflect, enter and hit or grab, while occupying the opponent’s space. The things changed dramatically at the very end of the Millenium. Land value and labor costs skyrocketing in Hong Kong (and also in Mainland China) made this ancient model unsustainable. The schools required a solid base of paying students, that had to be kept tied in some ways: as had happened almost a hundred years earlier in Japan, when Gichin Funakosi tweaked the Okinawan karate into Shotokan, the happily informal Chines kungfu became an organised system. Enter hierarchies, ceremonies, classes and courses, exams and degrees, with a proliferation of instructors, colored belts and uniforms. And – what’s most significant – the conceptual techniques were split and forged into fixed movements, producing an artificial fragmentation and freezing of the art core aimed to diluting and complicating the matter, allowing a substantial lengthening of the teaching time. The few days required in the Eighties to learn a form became months in the modern schools, keeping the students tied and producing a larger and steady income for a much longer time. Eventually this fictitious fragmentation moved the focus from the concepts to the single movements, jeopardising the underlying creative process of comprehension and assimilation that preserved the essence of the art. The basic principles were substituted with long sequences of single stereotyped movements, that were subject to stratified personal adaptations, often induced by false myths. One for all, the myth of the “low stance” at all costs, a misunderstanding that brings people to open the waist to go lower, breaking up their center of gravity, defusing the waist energy and losing control of the action space. It’s amazing how many teachers, no matter if obscure or celebrated, fall into this fundamental error. Please see the video below for a clear example of lack of awareness and use of the waist. In spite of an occurred pedantic teaching attitude, this fragmentation brought to a significant alteration of the style in a few years. The pure conceptual ideas, substituted by sets of frozen movements, included when handed down the conscious and unconscious adaptations applied by every single instructor. And so today, instead of the traditional minimalistic efficiency we see movements that can look fancy in a demonstration where the opponent strikes upon request, but totally useless in a real fight. This uselessness jumps to eye watching a session of sparring: instead of using what they have learned, the practitioners try to mimic the Western boxers, because their frozen techniques cannot cope with the unpredictable chaos of the real action. I hope and wish that all the teachers of good will and sincerely faithful to the Hung style (as to every other classic Chinese martial art) will come back to focusing on its original spirit and deep martial essence, for its preservation over time and for the future benefit of the whole martial world. Internal vs. external? Gimme a break!